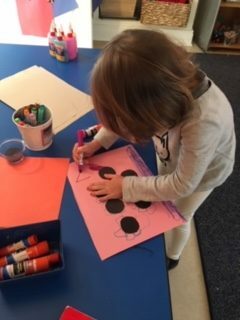 The PreK class has been enjoying reading the book, 10 Black Dots by Donald Crews. 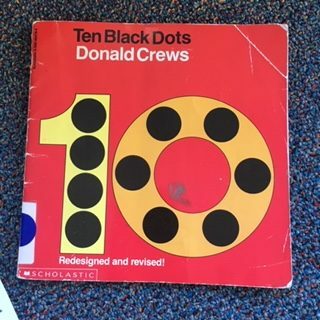 In it, the author asks, “What can you do with ten black dots?” He then uses large black circles, embedded in the illustrations, to help the reader learn to count from 1-10. 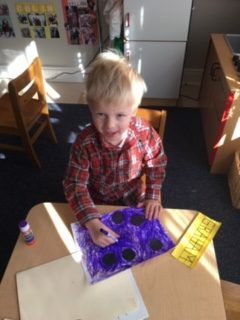 The PreK has learned so much more!!! 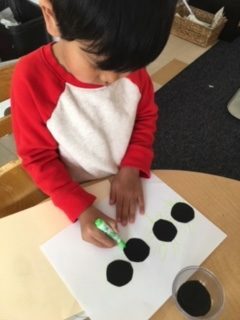 Along with working on counting, number and shape recognition, one-to-one correspondence and the concepts of “less” and “more,” the children are developing their critical thinking skills and imagination. 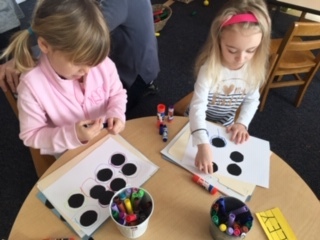 They are creating their very own “10 Black Dots” books. 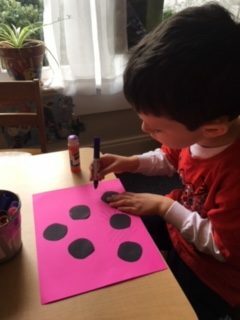 What picture can they create using a specific number of dots? 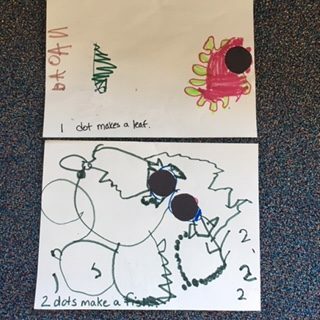 It has been so enjoyable watching the children transition from just gluing dots on a page, looking at it and then deciding what the picture looks like to coming up with a idea and then creating it with the dots. 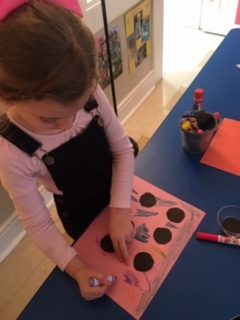 Who knew that such a simple, little book would be so full of wonderful lessons? !